So. Somebody on tumblr was talking about a dress. Which tuned into the entire 1D fandom on tumblr looking at a dress. Which then became the directioners on twitter talking about. And ultimately it ended up as a 1st ww trend. "So buy a pretty dress/ wear it out tonight"
That post from dec.13 was, as far as i remember (this is when i just got into the fandom) followed by "candids" of Elounor. The lyrics is obviously about somebody who is sort of jealous because his girl is going out showing her "pretty dress" off for everyone. Still, he says she should wear it "for anyone you think could out do me", which implies his trust in the relationship. The song is basically about having to share someone with everybody else but still knowing the person's gonna come back to you. I also have a third theory, or kinda like an extension of the warning-theory, as there is two pairs of shoes in the lower right corner of the IG picture he posted. This is kind of a head canon. But only kind of. I don't know crazy amounts of stuff about Japan, but i',m kind of a animé and manga geek, so i know a little and used to read about japanese culture ad myths and stuff. Asides from the shoes obviously being there for a reason (they're right in the corner, deliberately left in the frame), i also regocnized the type of shoe with the wooden sole. I was like "...okay have i watched too many animés, or is this the type of shoes you wear to hot springs?" In japanese culture it is an old custom (which not as many people practices today, except for tourists) to go to public bath houses. An Onsen is a hot spring facility you pay to enter, and since the picture Harry posted is outside i thought it would make sense if they were at a hot spring. 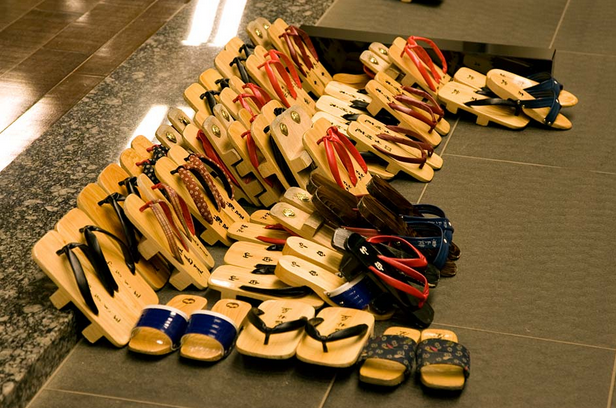 I searched google for "onsen shoes" to see if my headcanon made sense. ...so. Turns out my head canon wasn't that crazy after all. I suggest you read the wikipedia page explaining what the whole point with Onsen is. My conclusion is that H and L are definitely at a hot spring facility / onsen. One pair of shoes is smaller than the others and i mean why the f*ck would they were wooden shoes if it wasn't required? It could be that their hotel just has a hot spring facility build in, which would make sense. As to the caption and the lyrics i think it could be a warning or he could have just added those lyrics because 1: it's a winding wheel on the pic and 2: it makes people relate the picture to Louis. At least observant people. So..that's what i think about Harry's IG post. In a surprisingly long post. Sorry.